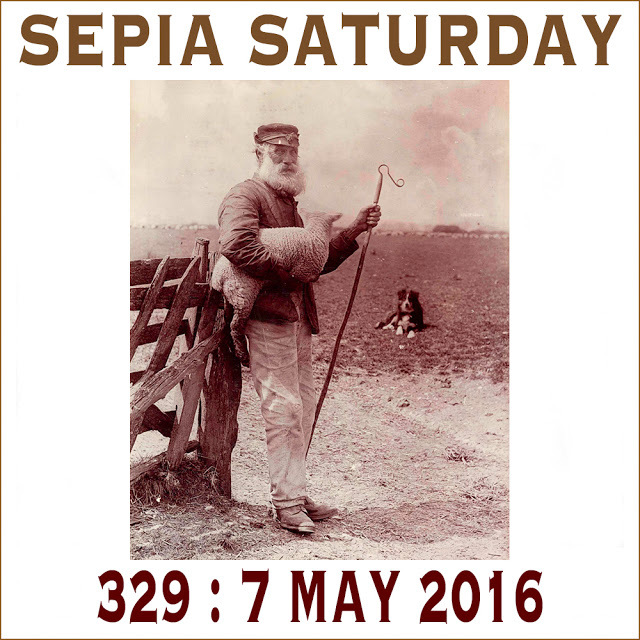 The theme for this Saturday has to do with sheep. 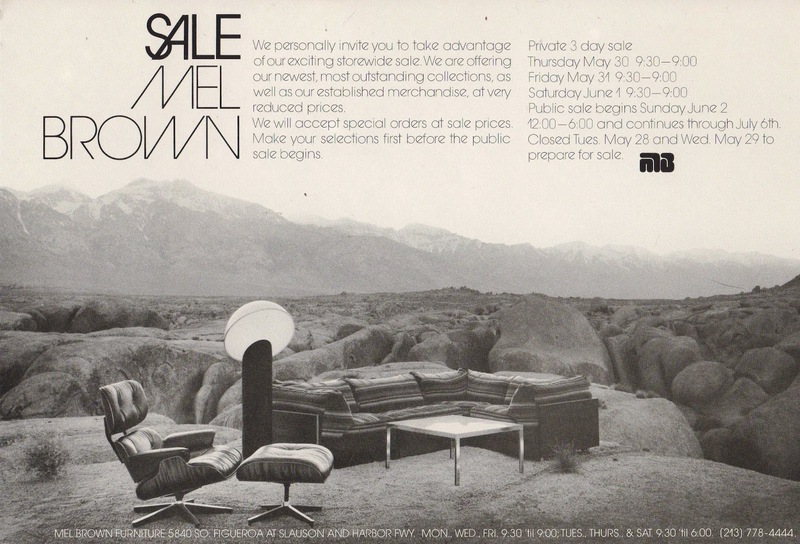 In my previous life (in the 1970's) I was an advertising art director in Los Angeles. 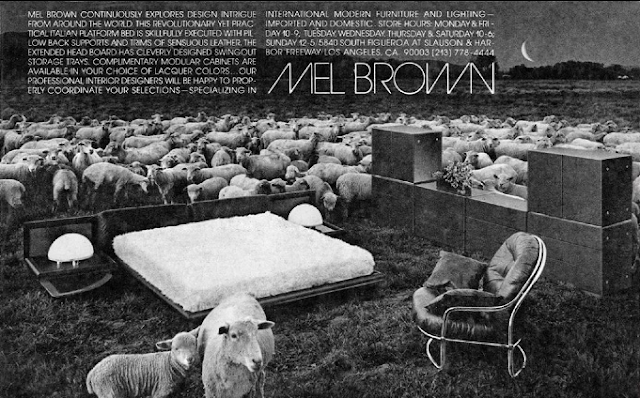 I went on a job with a photographer (Lin Cariffe) to shoot an ad for Mel Brown Furniture. It was a high end, modern furniture store. Lin always shot very elaborate and interesting photos for these ads. This time I don't remember why, but he decided to shoot the furniture with a herd of sheep. Maybe there was some wool in the pieces, but it doesn't look like it. I can't find the finished ad so I'll have get in touch with Lin to see if he remembers. When we got done shooting The shepherd came over and handed me his card. He actually had a business card and for his title it said "Shepherd" !!! Just another day in the advertising world! 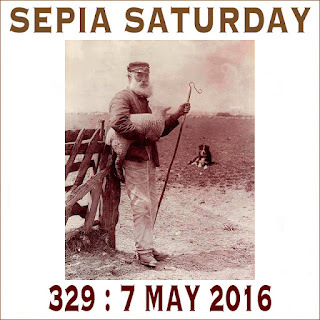 What an enterprising shepherd; perhaps he was hoping to move into the business himeself! where you wanted them. Or maybe the shepherd got involved? in that part. 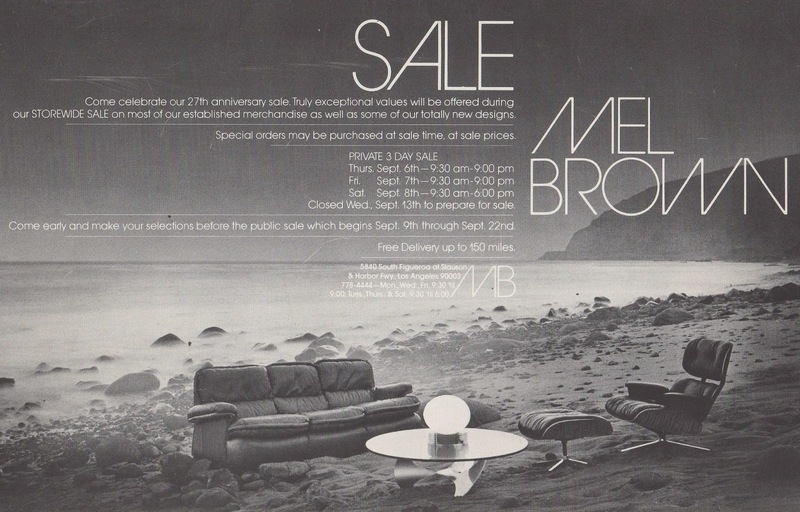 I've seen several furniture ads done outdoors - by the sea, in flower gardens, on grassy hilltops. I don't know why the furniture looks better that way than in a normal-type indoor setting, but it does. The sheep ad must have been rather eye-catching. 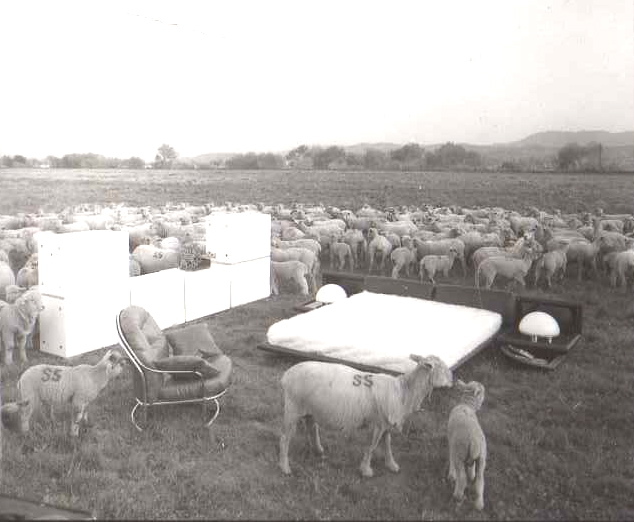 The ewe and her lamb look like they were eyeing off that futon bed as a comfortable place for a rest.